That quote by Charlie Tremendous Jones changed my life. I can honestly say that I graduated from both high school and college without reading a single book from cover to cover, not even a cliff notes version. My combination of ADD and dyslexia made it virtually impossible to read. After hearing Charlie’s quote, I knew that I had to become a reader if I was going to reach my goals, so I made a commitment to become a reader. It was a slow and painful process. I would push my way through page after page, only to reach the end of the chapter and not recall anything I had just read. Sure, it was frustrating, but I kept reading. Over the past 10 years, I’ve averaged about 20 books each year. All of these books have shaped and sculpted my life. 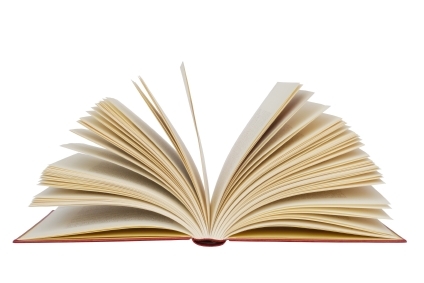 Here are 12 books every entrepreneur should read in 2015. The author, Cameron Herold, built three companies to over $100 million dollars in annual revenue; taking one from $2 million to over $100 million in only six years. Topics in the book range from creating a Vivid Vision, to landing free PR, to developing an amazing culture in your organization. Another topic included is maintaining a balance between the demands of being an entrepreneur and the need to unplug and relax. Double Double is a great read for any entrepreneur. There’s a wealth of knowledge for everyone from a first-time entrepreneur to a serial entrepreneur. Simple Numbers is an extremely well written book that covers a topic which causes many entrepreneurs’ eyes to glaze over at the mere mention of – financials. Jargon free and presented in an easy-to-follow, step-by-step format with plenty of real-world examples, Crabtree’s down-to-earth discussion highlights the most common financial errors committed by small businesses, and how to avoid them. Our businesses are merely a reflection of how well we manage ourselves. Most of our self-management stems from the habits we’ve developed, whether we’re conscious of them or not. If you’ want to understand what sculpts and shapes not only the results you’re getting in your life, but the results your team is delivering, this is the book to read. Each section contains nuggets of gold for any entrepreneur. Influence, THE book on persuasion, explains the psychology of why people say “yes”—and how to apply these understandings. As an entrepreneur, so much of what you do centers around getting people to say “yes” – which makes this book a must read. Author Dr. Robert Cialdini introduces you to six principles of ethical persuasion: reciprocity, scarcity, liking, authority, social proof, and commitment/consistency. There is one chapter devoted to each of these principles, each containing social science testing and retesting to validate the principle. Entrepreneurs are constantly pulled in many different directions, often at the same time. This pulling from all different directions often leads to stress; it can overwhelm, and sometimes even causes depression. Fortunately, author David Allen offers practical, tested solutions in his book, Getting Things Done. David shares the breakthrough methods for stress-free performance that he has introduced to tens of thousands of people across the world. His premise is simple: our productivity is directly proportional to our ability to relax. Only when our minds are clear and our thoughts are organized can we achieve effective productivity and unleash our creative potential. Apply the “do it, delegate it, defer it, drop it” rule to get your inbox to empty. Reassess goals and stay focused in changing situations. Plan projects as well as get them unstuck. Overcome feelings of confusion, anxiety, and being overwhelmed. Feel fine about what you’re not doing. After spending years studying the top leaders, influencers, and organizations, author Simon Sinek discovered that they all think, act, and communicate in the exact same way – the opposite of what everyone else does. Start With Why is a great book for any entrepreneur struggling to create a compelling long-term vision for their company. The Five Dysfunctions presents a leadership fable that is as both entertaining and instructive. Kathryn Petersen, Decision Tech’s CEO, faces the ultimate leadership crisis: Uniting a team in such disarray that it threatens to bring down the entire company. Will she succeed? Will she be fired? Will the company fail? Author Patrick Lencioni’s powerful story serves as a timeless reminder that leadership requires as much courage as it does insight. When it comes to making decisions in our lives, we think we’re making smart, rational choices. But are we? Do your customers and prospects make rational decisions? Dan Ariely examines these and other forces that indirectly drive decision making and ultimately result in humans being predictably irrational. The 48 Laws of Power is a practical, readable guide for any entrepreneur who wants power, watches power, or wants to arm themselves against power. Why is it that some people seem to immediately rise to fortune and fame, while others seem to languish in mediocrity for years? Throughout The 48 Laws of Power, author Robert Greene reveals the hidden, rarely talked about laws that are at play in virtually every interaction. This book is a great companion to Influence – The Power of Persuasion. Any entrepreneurial journey worth taking will be filled with challenges and unforeseen obstacles. It’s not number of scale of the challenges or obstacles that determine an entrepreneur’s success – but how they respond to them. Ryan Holiday shares stories about several people including John D. Rockefeller, Amelia Earhart, Ulysses S. Grant and Steve Jobs. He reveals the formula that let them turn obstacles into opportunities. A must read when things get tough. An unlikely title on a list of books all entrepreneurs should read. In this book you’ll discover the surprising rags-to-riches-to-rags-to-riches story of how Michael Jackson grew a billion-dollar business. Why is it that some entrepreneurs (and their organizations) seem to reach goal after goal, while other merely struggle to survive? Are the successful just luckier? Do they have more money or better tools? No! The most successful entrepreneurs – in any field – have discovered their Slight Edge. The Slight Edge is not just another self-help motivation tool of methods you must learn in order to make it up the path of success. It simply shows you how to create powerful results from the simple daily activities of your life by using tools that are already within you. What do you need to make that happen? Discover that one thing that will help you achieve that goal, realize a life-long dream, or propel you up the ladder to success. Once you’ve got it, then you will discover how your philosophy… creates your attitude… creates your actions… creates your results… creates YOUR LIFE! Win all 12 books on this list.